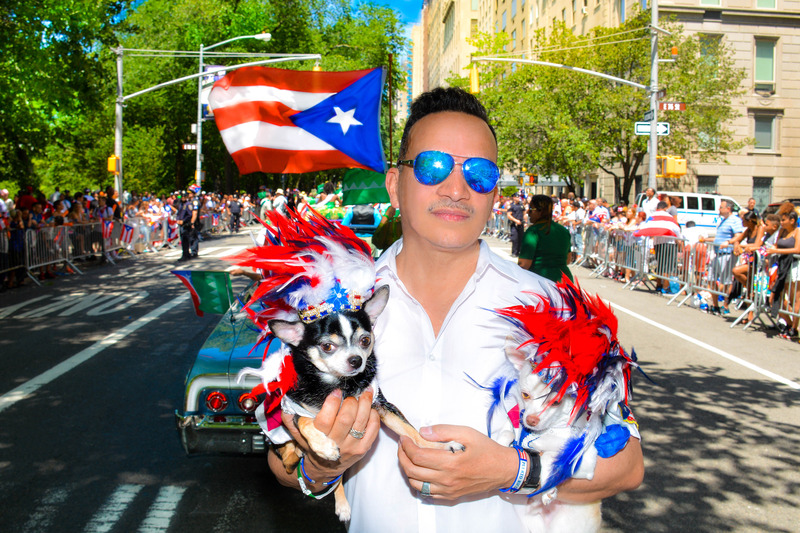 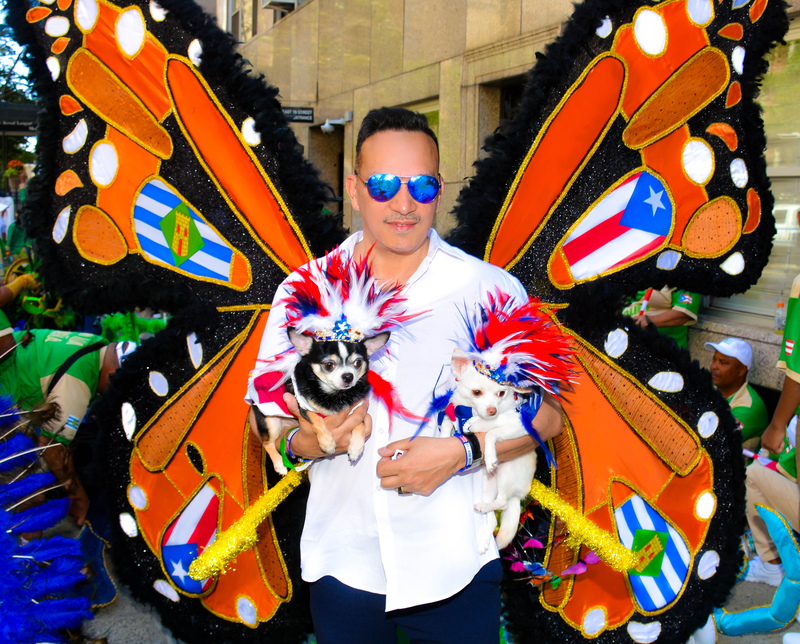 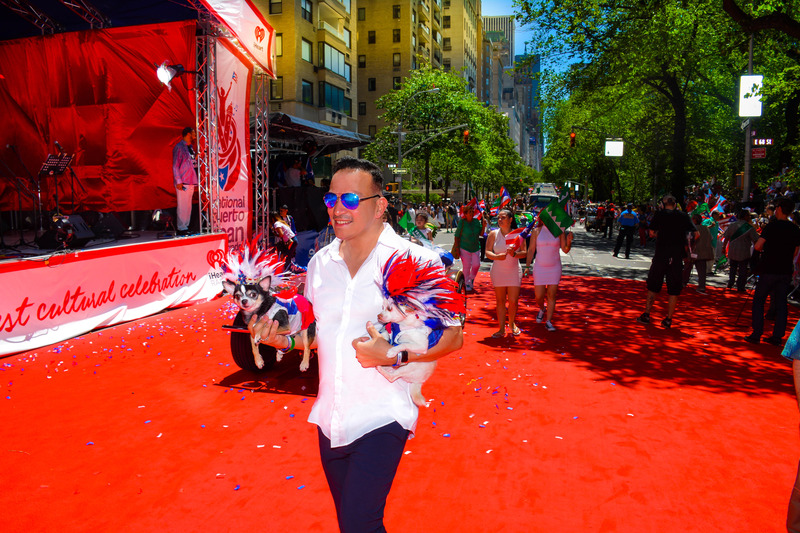 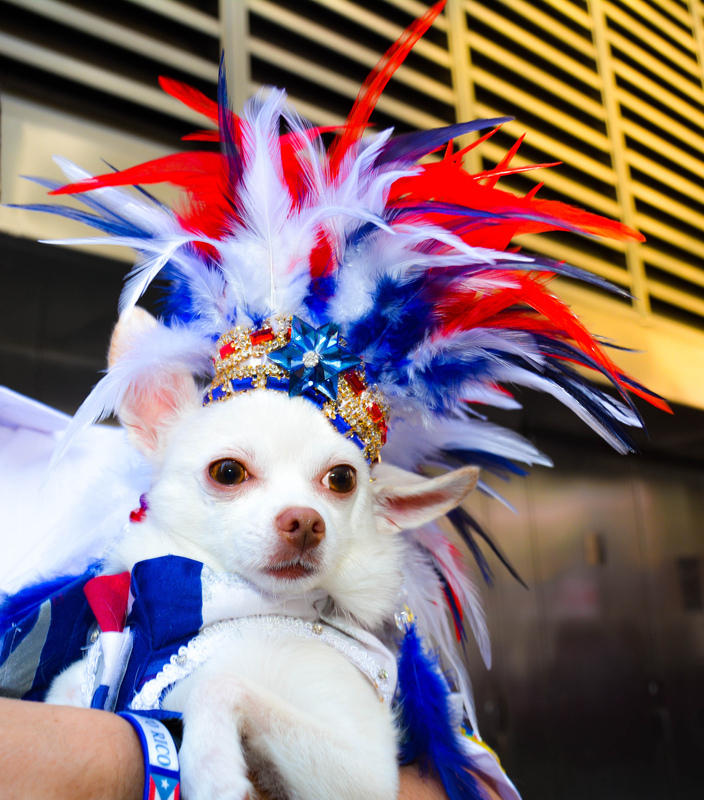 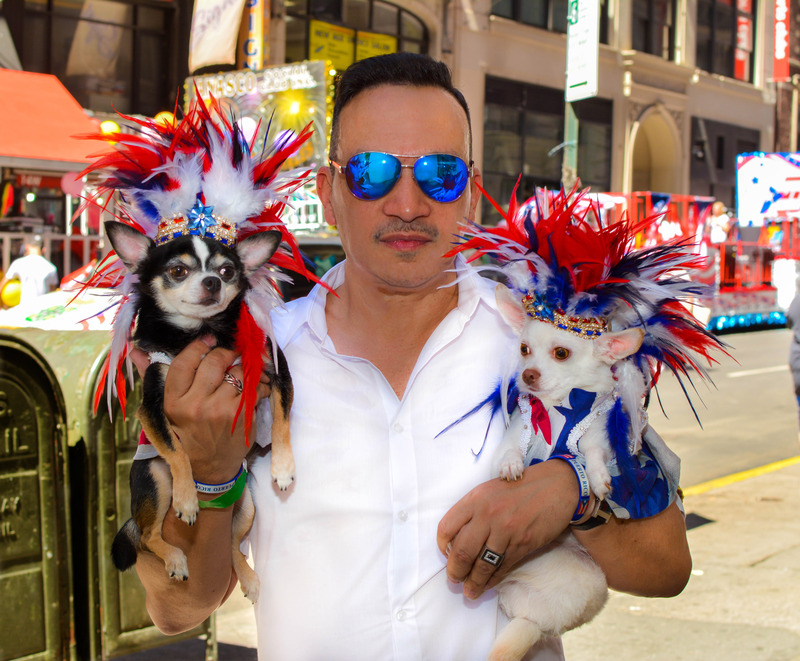 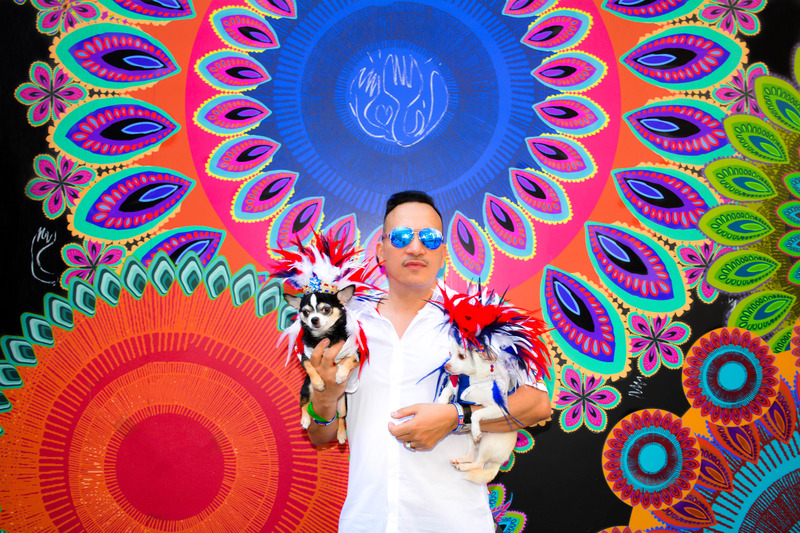 Anthony Rubio and his Chihuahua duo Bogie and Kimba marched in the 59th annual National Puerto Rican Day Parade. 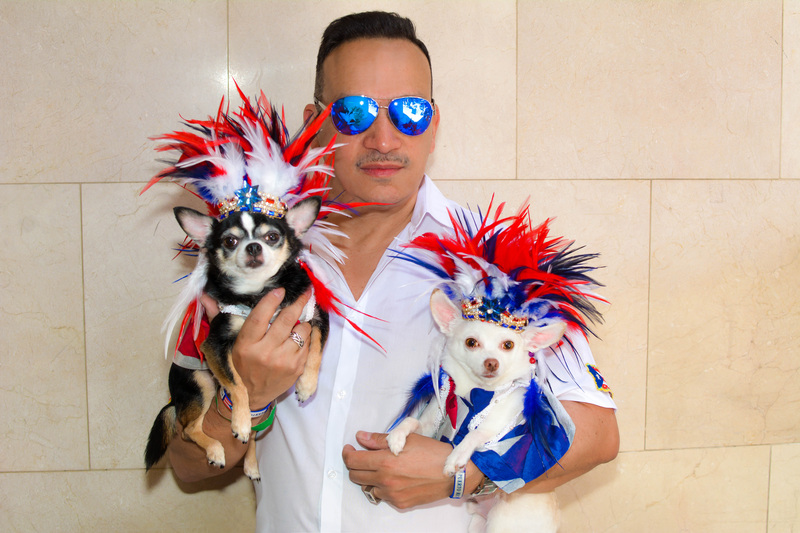 Both Bogie and Kimba donned these elaborate Taino Indian inspired jeweled headdresses with tons of feathers which they gladly wore for three straight hours with out once feeling the need to shake them off. 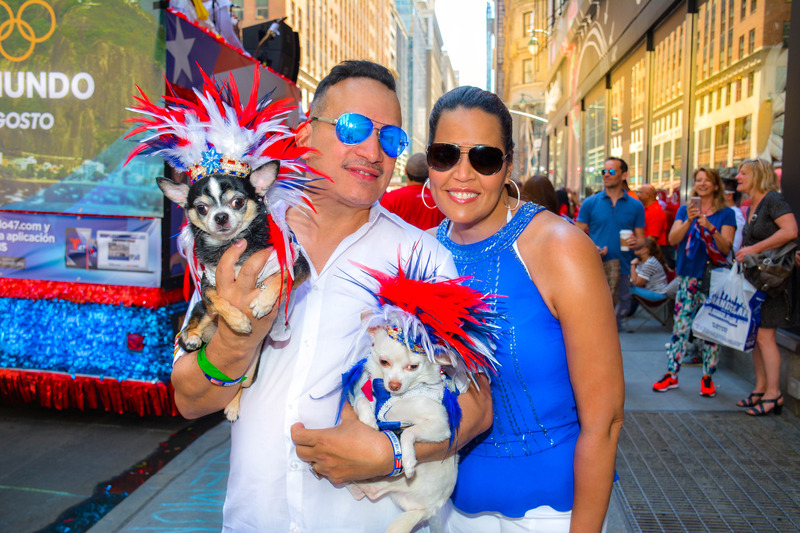 Their outfits were created from panels of photos of the flag all designed by Anthony Rubio.